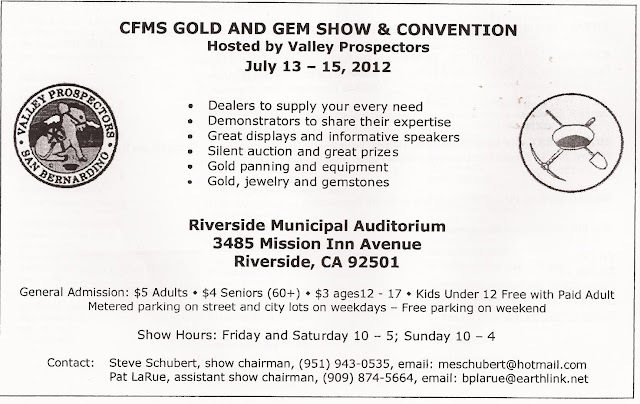 The Del Air Rockhounds Club, Inc Los Angeles - San Fernando Valley, California, United States - We are a non-profit organization dedicated to sharing knowledge of the lapidary arts and techniques, geology, mineralogy and related fields. 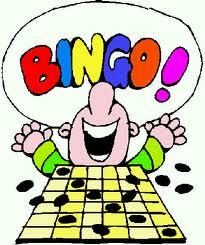 Come one, come all.....to our annual Ice Cream & Bingo Social! 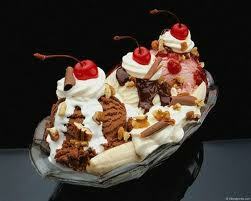 Enjoy your favorite sundae while we play Bingo for fabulous prizes. This will be our last get together till the September meeting so please come and join us for a fun filled evening. This field trip will be a day trip near the ocean at Palos Verdes, CA. There will be 3 sites to collect at. You can go to all the sites or just a few. I have each site time where we will be at if you meet us later in the day. I have detailed maps of all the sites and I would recommend contacting me or go to the CFMS web site for the maps. There will be CFMS signs on my truck, white Ford F-250 crew cab. 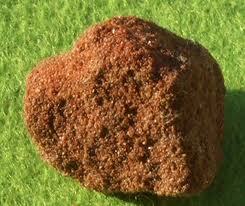 At each site there will be a brief information meeting about the site and I will bring samples of what to find. We will meet at the first site at Bluff Cove 8:00 am. SITE 1: Glaucophane and Agate location. 8:00-10:30am (Bluff Cove, about 300 yards long switch back to bottom, Medium hike) We will be looking for Glaucophane and agate amongst the beach rocks. SITE 2: Barite locations for well-formed crystals. 11:00am-1:30pm (about 100 yards switch back to bottom, Medium hike) Once down on the beach we will walk about 200 yards to the dig site. You can collect along the beach, the best stuff you will need to climb up the hill about 100 feet. SITE 3: Livingstone Quarry for Dog-Tooth Dolomite, Selenite. 2:00-4:30pm. We will go to two collecting sites: first for selenite, walking along on paths about 100 yards from where we parked. For the best selenite you will climb about 100 feet up a hill. After about an hour we will walk on paths about 100 yards to the dog-tooth dolomite. There is surface material or you can use rock pick, chisels to dig. WHAT TO BRING: Sunscreen, large brim hat, shovel, rock hammer or pick, gad or chisel, sledges, collecting bags, buckets, day pack, eye protection, sturdy shoes, drinking water, lunch, newspaper to wrap your rocks. SITE 1 - GLAUCOPHANE and AGATE: Head SOUTH on the 405 Freeway, EXIT at the Hawthorne Blvd. Turn right, south on Hawthorne Blvd travel about 7 miles. Turn right, west to Palos Verdes Drive North travel about 2.2 miles make a slight left west to Palos Verdes Drive West travel about 1 mile. Turn right, west to Paseo Del Mar, travel about 1/8 mile. There will be a parking area on the west side of the road, toward the ocean, park there. SITE 2 - BARITE and SELENITE: From site 1 Paseo Del Mar turn right, south to Palos Verdes Drive West turning into Palos Verdes Drive South travel about 4.9 miles. There will be a large parking lot on the south side of the road, toward the ocean, park there. SITE 3 - DOG-TOOTH DOLOMITE and SELENITE: From site 2 Palos Verdes Drive South turn right, east travel about 3.5 miles Turn left, north to Forrestal Dr. Travel about 1/4 mile. Park on the side of the road before the gate, they close the gate and you might get locked in. *Please let me know if you are going to go on the field trip, weather changes. If I don't know you're going on the field trip, I won’t be able to contact you if the field trip is canceled. Even if you might not go, still contact me for the information and maps. Don't wait until the day before. 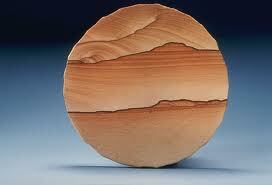 Sandstone (sometimes known as arenite) is a sedimentary rock composed mainly of sand-sized minerals and rock grains. 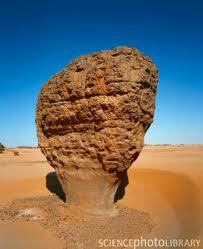 Most sandstone is composed of quartz and/or feldspar because these are the most common minerals in the Earth's crust. 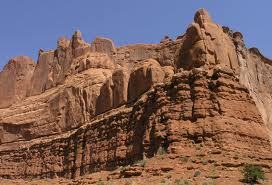 Like sand, sandstone may be any color, but the most common colors are tan, brown, yellow, red, gray, pink, white and black. Since sandstone beds often form highly visible cliffs and other topographic features, certain colors of sandstone have been strongly identified with certain regions. Rock formations that are primarily composed of sandstone usually allow percolation of water and other fluids and are porous enough to store large quantities, making them valuable aquifers and petroleum reservoirs. Fine-grained aquifers, such as sandstones, are more apt to filter out pollutants from the surface than are rocks with cracks and crevices, such as limestone or other rocks fractured by seismic activity. Sandstone is mined by quarrying. It is sometimes found where there used to be small seas. It is usually formed in dry places like the Sahara Desert in Africa, the Arabian Desert in the Middle East and the Australian Desert including Sydney. In the western United States and in central Australia, most sandstone is red. 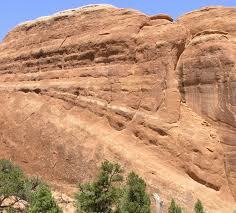 Sandstone is converted into quartzite through heating and pressure related to tectonic compression. - We are a non-profit organization dedicated to sharing knowledge of the lapidary arts and techniques, geology, mineralogy and related fields. Meetings!! - Want to be a Member? Want to be a Member? The Del Air Rockhounds Club Welcomes You!! Picture Window theme. Theme images by hanoded. Powered by Blogger.